Network Ten has appointed Sunita Gloster, currently CEO of industry body the Australian Association of National Advertisers, to the new role of chief commercial and strategy officer. According to an announcement from Ten, Gloster “will be responsible for network strategy and digital and commercial partnerships”. Gloster joins the network as it prepares to embark on a major round of cost cutting. The language used in the announcement suggests that Gloster will take a major role in the project, which has seen consultants McKinsey working inside the network for some time. 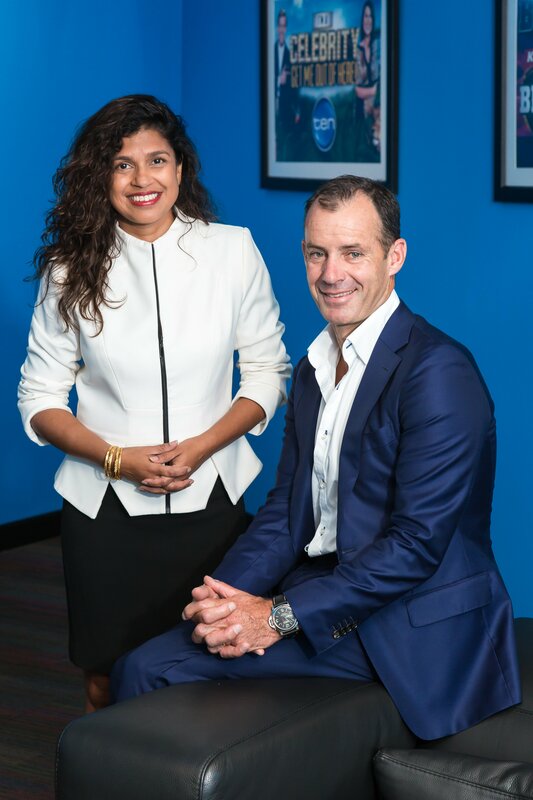 Ten CEO Paul Anderson said: “Ten has embarked on a significant transformation plan for efficiencies, investment and growth and we are thrilled Sunita is joining Ten in this important new role for our network. “Sunita has exceptional understanding of the challenges and opportunities facing blue-chip brands in the Australian market and that knowledge and experience will be invaluable for driving growth, innovation and results for our partners. “Sunita has an impressive track record in strategy, management and organisational change and is globally recognised for her initiatives at the AANA, particularly across media and digital industry supply chains,” he said. The role will mark Gloster’s first time with a TV company. Prior to her four years at AANA, she led marketing for production company Omnilab following a career which began in advertising agencies. Gloster’s statement in the announcement also alluded to the cost cutting project which lies ahead. It said: “Today’s business climate requires every enterprise – brand owner or media company – to rethink and recalibrate for a sustainable future and with that comes tremendous opportunity. Gloster will depart the AANA in August. Ten’s share price currently sits at an all time low as the board attempts to renegotiate a $200m loan facility with the Commonwealth Bank which comes due at the end of the year. It has been widely speculated that the network will soon outsource its news division to Sky News, which is owned by News Corp. News Corp already indirectly owns a 14% stake in Ten via its joint venture with Telstra, Foxtel, while News Corp boss Lachlan Murdoch owns another 8%. Gloster will not be directly responsible for Ten’s advertising revenue performance, with sales already outsourced to the Foxtel-aligned Multi Channel Network. Matt Tapper, chair of the AANA and MD of global markets for Lion, said: “I was part of the team that recruited Sunita in 2013 and we gave her a challenging brief; to renew and refresh our Association, to engage us as a community, to raise the profile of what we contribute as marketers and most importantly to deliver on our commitment to evolve and maintain our system of self-regulation and to ensure all key stakeholders retained confidence in our management and leadership in this area. The AANA is now the second industry association in the sector seeking a new boss. NewsMediaWorks has also been without a CEO since the departure of Mark Hollands at the end of February. Bit late for that isn’t it..? My hard earned went into 10. With best sales team mcn and some promising program franchises thought it sound investment. The share price is so bad cant look at it. Over decades many of them no matter how they are perceived to be travelling analysts have a negative view of them. This 200m debt is a thunderstorm ready 2 burst unless something positive happens. When rupert owned in early 80s the brand had credibility.